For the past two Januarys I have noticed a growing trend on Twitter-the declaration of ONE WORD for the year. GIVE. UNITY. JOY. BELIEVE. DO. PUSHER. These are some of the words I have seen in place of my PLNs New Year's Resolutions. 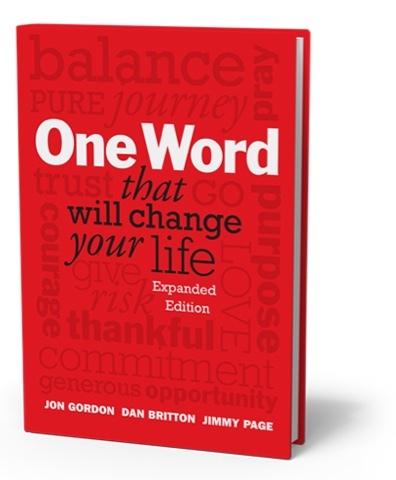 The movement seems to stem from the book One Word That Will Change Your Life, co-authored by Jon Gordon, Dan Britton, and Jimmy Page. "We learned firsthand that the secret to a simplified life is One Word." In roughly 100 pages, Gordon, Britton, and Page outline the 3-step process for arriving at your ONE WORD (1. Prepare your heart 2. Discover your word. 3. Live your word.) and share ONE WORD success stories. While the origin of the concept was unknown to me until just last year and the book until this past December, the idea of ONE WORD has been part of my ethos for nearly four years. Early in my second year as an edtech coach I adopted the word YET in an effort to help shift my mindset and especially to help shift the mindset of my teachers as we explored new tech. Teachers weren't comfortable...YET, they didn't know how to use the tech...YET, they didn't know where to begin...YET. You get the idea-learning to use tech would take time; most teachers would not be an overnight success. "...this One Word process has created a laser-like focus throughout the year." Imagine my surprise when #ONEWORD started trending in January 2016. How did I miss this? After all, I was already doing it! At the end of 2016 I decided to read the book and discovered there were some elements that I was missing in the the process the authors described in their book, the biggest being the fact you could truly only have ONE WORD, not one sentence, not one phrase, not last year's word and this years word. ONE. WORD. And, no repeats. I had been using the word YET to guide my teachers and me through our edtech journey for close to four years! Oops! BALANCE between work and family. BALANCE between personal and professional improvement. BALANCE between listening to audio books and listening to podcasts. BALANCE when it comes to food. BALANCE when it comes to exercise. 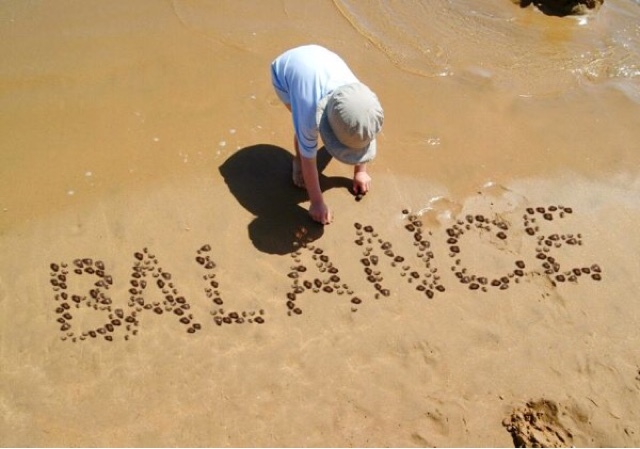 BALANCE when it comes to commitments. BALANCE is the ONE WORD that will be guiding me through 2017. "Words are powerful. They have the power to inspire, encourage, appreciate, heal, and turn the impossible into the possible." Gordon, Britton, and Page end the book with the call for those who find their word to share it with their friends, their family members and their world. Put the word out there. Put it in action. Share your word! I've share my word. Now it's your turn. What's your ONE WORD for 2017? By the way, I'm still holding on to my ONE WORD from 2013, 2014, 2015, and 2016. I'm not done with it...YET! I don't think I've discovered my one word... yet (I know it's March & we are a third of the way through the year; I better get moving) But I was curious, how do you intend to put balance into action in terms of personal & professional improvement? I'll let you borrow the book. It might help you discover your word, though it's not necessary. Balance between personal and professional: reading, podcast listening, choosing activities to suit my avocation above my vocation more often (running, family, down time vs EdCamps, conferences, etc.). Let me know if you want to take a look at the book. Well I have been thinking quite a lot but seems like I cannot figure my word out this time. Will think about it later and will definitely get my word to get the year along. How are you coming along with your One Word, LODWS?